If you’re looking for a new home improvement project, consider installing a new fence on your property. Fence installation can be done yourself if you’re a handy type, but there are also lots of fence contractors available that offer professional fence installation as well as warranties. Lets talk about some of the benefits installing a fence brings to your home. A fence will be the first thing anyone notices from the curb, which gives you the opportunity to make a great first impression. 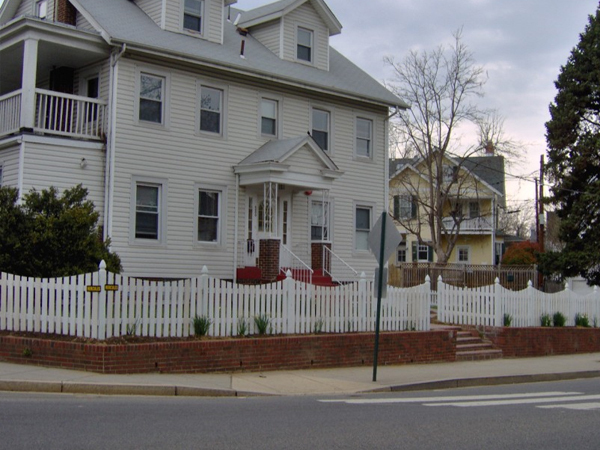 Fences come in a huge variety of styles and designs, so you can choose the aesthetic you want to project. A three-board wooden fence has a nice rustic appeal while an ornate iron fence has a stately elegance. Or you can go traditional with a simple but time-tested white picket fence. If you’re in close quarters with your neighbors and looking for a little more privacy, a fence is the ticket. Solid wooden fences with no gaps between the pickets turn your backyard into your own private oasis where you can relax. Fences are one of the easiest ways to increase the level of security on your property. Naturally, this depends on the fence, but high fences with little or no open spaces can prevent trespassers and theft. Fences can also protect against less pressing but still present security threats like animals looking to grab a free meal in your garden. This entry was posted on Monday, January 6th, 2014 at 4:21 pm. Both comments and pings are currently closed.